It has been a busy 12 months for The Cricket Asylum Foundation as the charity continues to provide cricket to those, who without the foundation, perhaps would not have the opportunity to take part in the game we all love. 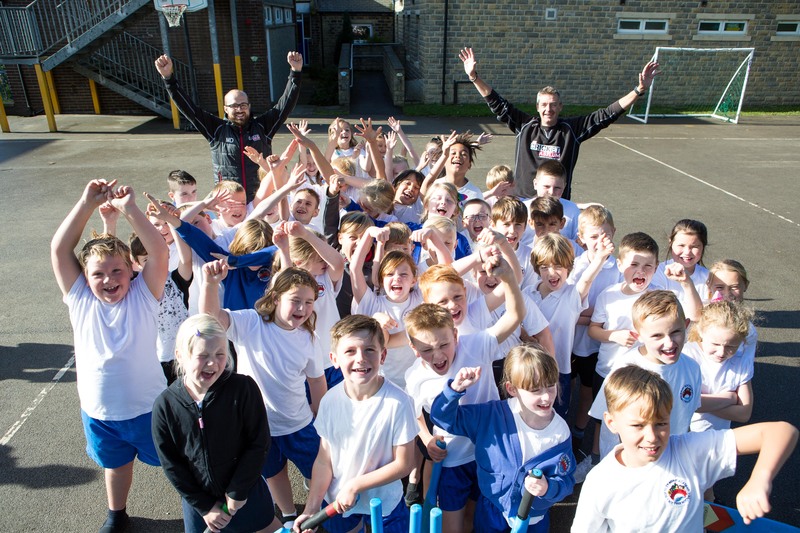 In 2018, The Cricket Asylum Foundation delivered taster sessions to sixteen primary schools in and around Calderdale. 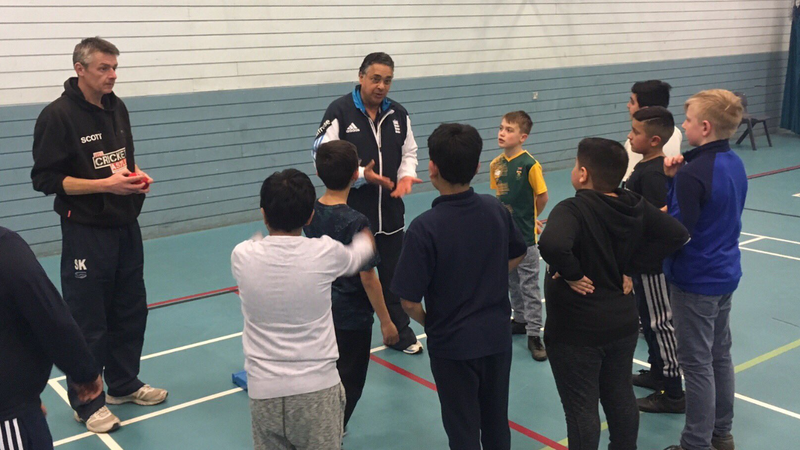 Giving over 1000 children from varying backgrounds the chance to play Cricket and in some cases even joining their local clubs particularly increasing the numbers at local clubs like Sowerby Bridge CC and Illingworth CC. We are currently in the planning stage of delivering another range of primary school sessions throughout the year, and with the Cricket World Cup on its way lets hope it’s a great year for getting more youngsters into cricket. Thanks to funding from various providers in the past 12 months the Foundation has been able to start delivering projects to those groups and individuals who need it the most. We have received funding from Community Foundation for Calderdale, Tesco, One Stop Stores, Coop and Warburtons. The programmes we have delivered have been varied but each one has reinforced the need for the work we do. The Foundation also delivered a number of sessions at The Orange Box in Halifax to a Calderdale Girls Emotional Health group. The sessions delivered helped the girls to enjoy and take part in something fun and different. Following on from the session we delivered a talk on life skills and self esteem, and how sport and activity can play a role in developing yourself. We find these sessions extremely rewarding, and it really does show that sport can have such a positive impact on people’s lives. We’re pleased to announce that we’ll be delivering another range of sessions here throughout 2019. Later on in 2018, we of course had our famous 24 hour Netathon! Over £3000 was raised throughout the Netathon thanks to those who took part and of course thank you to everyone who donated. Due to the success of the Netathon we are able to renew Aadam Ali’s scholarship along with several other deserving young aspiring Cricketers, and we are excited to see how Aadam and the others make the most of their opportunities. 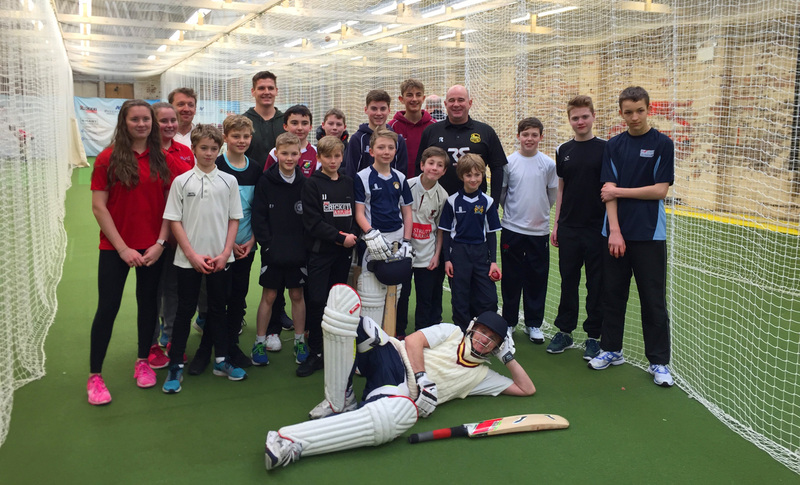 2019 has started brightly as we plan more coaching in the community and also benefitted from former International Cricketer Stuart Law delivering a coaching session that raised over £400 and meant we can now offer scholarships to more deserving young Cricketers. Click here to read the article in the Halifax Courier about the event, and here for information about scholarships. Do you know a deserving young player? Finally we’re very excited to announce that on Friday the 24th of May we will be holding our biggest fundraiser to date. 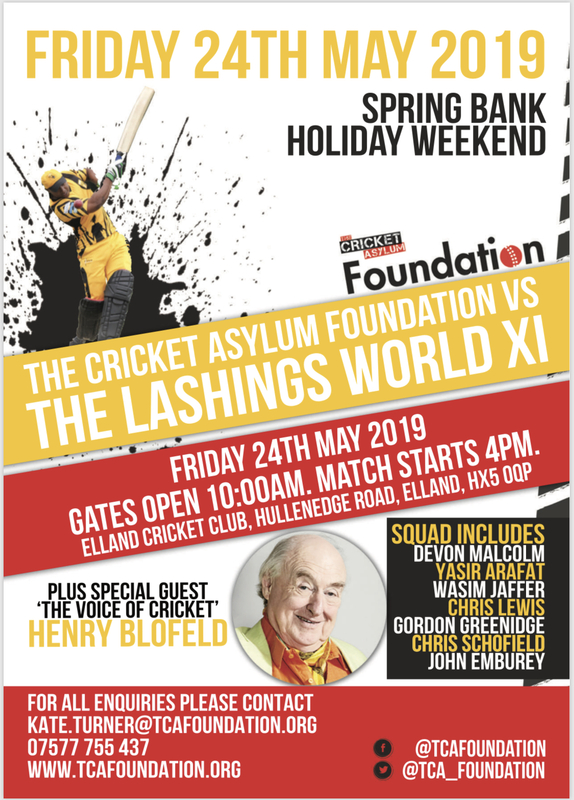 A select TCAF team will be taking on the famous Lashings World XI at Elland Cricket Club. Players such as former international quick Devon Malcom, Indian batsman Wasim Jaffer, former Pakistan all-rounder Yasir Arafat and former England spinner John Emburey and other former test internationals will be there for the day. We will also have the wonderful Henry ‘Blowers’ Blofeld doing the commentary during the game and speaking at the dinner. On the day there will be coaching for juniors from the stars, a junior match, a sit down three course meal and then the main event the T20 game. We’re inviting clubs, businesses and any groups of friends to the sit down meal. You can purchase a table for the day and enjoy what is going to be a fabulous event. Click here for more info and get in touch to book a table! Thank you as always for your continued support as we look forward to the rest of 2019.